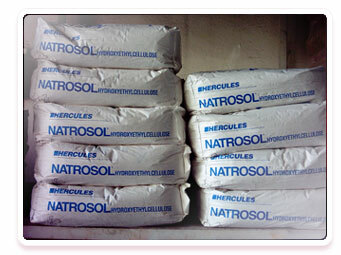 Natrosol 250 is cellulosic thickener which used in paint and industrial coating. MEK is anti- skinning agent for paints and varnishes intermediate for silicone hardener. Texanol ester alcohol, the premier coalescent for latex paints, provides the highest level of film integrity at low levels of coalescent. Texanol decreases the film-forming temperature, prolongs the wet-edge time and prevents the paint cracks which is formed by quick-drying of paint. Aerosil 200 is agents for paint which used thickener. Benton SD 1 is bentonite based tiksotropi aditive.